Patient came in on an emergency basis presenting with pain and a swollen left cheek. 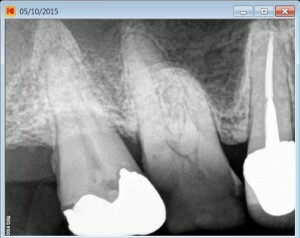 Access cavity through existing crown, pulp stones removal, four canal entries location, complete shaping and cleaning of three canals out four have been completed during the first setting. 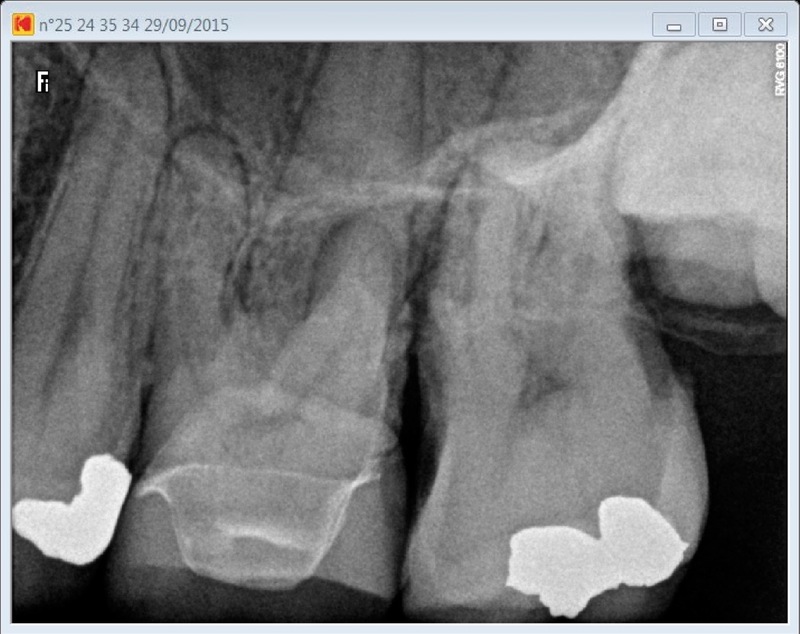 Also allowed 30 minutes for drainage, lots of irrigation (Sodium hypochlorite 6%), interim Calcium Hydroxide dressing. 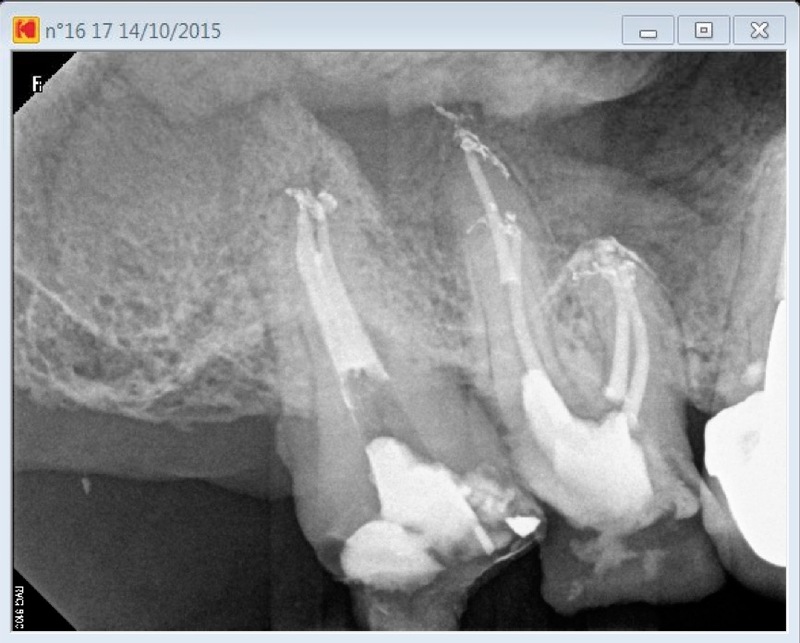 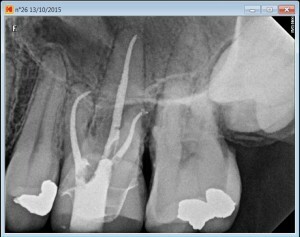 MB2 root canal entry has been located with the help of a Zeiss dental operating microscope and a Buc 3 ultrasonic tips (Spartan). Due to a lack of time, we had to make the patient come back for the second mesiovestibular root canal procedure, patient has also been given a course of antibiotics. The fourth canal took an extra hour to perform. 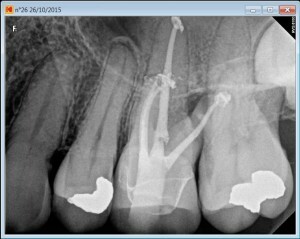 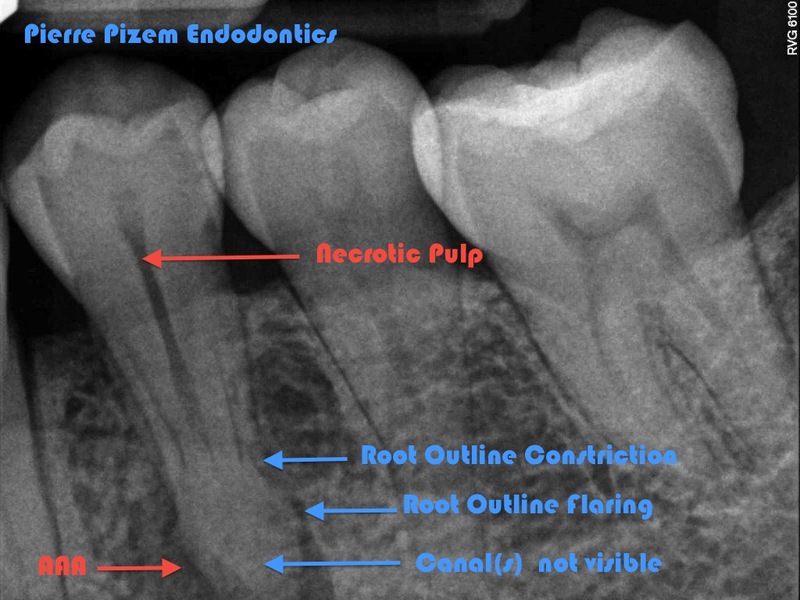 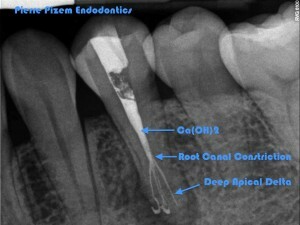 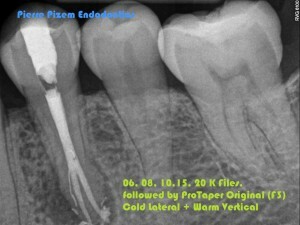 Root canal shaping performed with Mani K files, Pro Taper Universal and landed files, obturation technique was warm vertical condensation and Pulp Canal Sealer. 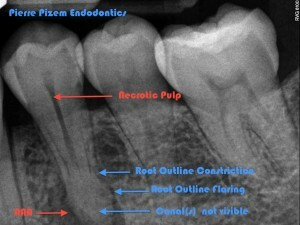 Composite core build up.